Thank you for joining us here in Las Vegas for TechCon. This is my ninth time here, and I think I finally am getting comfortable with this crowd. Just don’t ask me to explain the difference between High Efficiency Video Coding and Advanced Video Coding! This year we’re changing things up a little bit. In recognition of how technology is changing our business, we decided to expand the focus of TechCon. 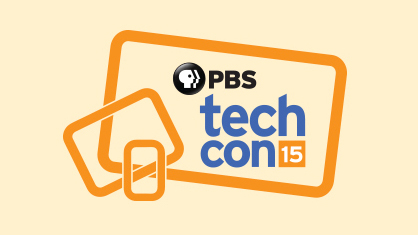 We’ve been working across departments at PBS to make sure that TechCon builds on how you and your technology experts are working today and how to take advantage of what is coming next. For the first time, this year’s TechCon includes a full track of sessions aimed at digital media leaders from member stations, and we have social media tracks here as well. I’ve also invited Jarl Mohn of NPR to join me today for a discussion about the future of public media. Today, I want to spend a bit of time discussing the three keys to our strategy at PBS to move our public media system into the future: collaboration, content, and community. Let me talk first about collaboration. As the media landscape and technologies continue to evolve, I think it’s more important than ever that we build on our strengths as a public media industry, and leverage our collective wisdom, experience, and infrastructure to build out the public media of tomorrow. That’s certainly our approach when it comes to v6, the next update to our interconnection system. We’re working collaboratively with system stakeholders to design, test and deploy the v6 system to deliver public media content, including content from NPR, to stations. As the backbone of content delivery for our system, the interconnection system has been restructured approximately every 10 years to ensure reliability and to keep pace with the technology trends of the day. In each case, our system has used these transitions as opportunities to upgrade the delivery processes and equipment of the interconnection system. v6 is no different. The broadcast industry is evolving, requiring our system to be flexible and deliver content in new ways. v6 enables us to leverage broadband technology to be agile and future facing while super-serving all stations large and small. In working with system stakeholders, we have been engaged for over two years in the definitions of the new interconnection system, developing a platform design that is “right sized” for our system’s current needs while positioning public television well for the future without overbuilding the system. Deciding what technology to use, and what distribution models make the most sense is a question that everyone in the media industry is asking right now. As we look to the future, I was really struck by a comment that Don Baer, our Board Chair, made at a recent board meeting. As we look at the media industry, it’s easy to point out what’s changed (and will continue to change). Certainly people’s viewing habits have evolved, as people have more control over where and how they watch content, and so more viewing of content is taking place on screens other than traditional televisions. But television still remains a dominant way that people access media content. Each month, PBS reaches more than 103 million people through television. In February, across all of PBS’ and station’s web, mobile and connected device platforms, people watched 480 million videos. No matter how people access our content, however, our mission remains the same- to create and share content that educates, engages, and inspires our audiences. And that mission is more important than ever, because people are hungry for quality content, which is our second strategic focus. By staying focused on providing quality content we have seen tremendous gains in our audiences across all platforms. For the 2013-2014 television season PBS had the 5th largest primetime household rating among all broadcast and cable networks, up from 8th just a year ago and 11th two years ago. I’ll let Mike Kelly run through our upcoming programming with you on Friday. And I promise there aren’t any reindeer clips this year! But I did want to talk a little bit about our strategy, and how we’re experimenting with how we can use new platforms to enhance our reach and impact. For the first time ever, we released all fourteen hours of our flagship fall program, Ken Burns’s THE ROOSEVELTS for digital and over-the-top (OTT) streaming the morning after the TV broadcast premier. Some people worried that releasing these programs before they aired on television would lead to decreased viewership, because people could then watch when and how they wanted. But in fact, we saw the opposite- people were using the streams to catch-up on their viewing, so that they could watch the broadcast as it aired. More than 33 million people watched THE ROOSEVELTS during the 7 days it aired on PBS stations. People didn’t want to just watch it on their own, they wanted to be able to participate in the larger conversation around THE ROOSEVELTS event as it happened. Changes in technology are also enabling us to go back to our roots in public media. When public television was founded, it was a radical experiment with a relatively new medium. I think we’re at a similar moment now. New media platforms offer us an incredible chance to experiment and try new things. We’re not just using the digital space to showcase our broadcast content. Over the last two years PBS and stations have created unique digital content through PBS Digital Studios, which now comprises more than 30 channels of original programming. At the most basic level, while some of the ways that people access media might be evolving, I don’t think that humans are fundamentally changing, and I think that means that we will continue to see media be a fundamental way to bring people together for a shared experience. Human beings are social animals. From the time our earliest ancestors walked the earth, they gathered together and told stories around the fire. More recently, we’ve gathered around the television to share our collective experience. Now, we’re gathering around iPads and smart phones and computer screens. But people are still driven by those same social instincts: to be a part of a larger community, and share their experiences with others. I think that what will drive media consumption in 2015 and beyond is the opportunity media offers to be a part of a larger community, which is our third strategic focus. And so while the screens may evolve, that same basic urge to watch something and share that experience with others will not change. At PBS, we’re working to support our stations with the content and tools they need to be that place where people come together to have a shared experience. Unlike any other broadcast organization, we draw our strength, and our direction, from the communities we serve. Our member stations remain some of the last locally owned and operated media broadcast organizations. Because of this local connection, according to a national survey, for the 12th consecutive year – the American people have ranked PBS as America’s most trusted public institution. This trust – forged through decades of public service – represents a very special bond between PBS, local public-media organizations, and the American people. Together we must focus on collaboration, content, and communities, using our collective resources to bring people together to share in experiences and events. The technology we use to do that will definitely change. But I trust that by building on the commitment, and passion of each one of you here today, we can continue to work together to keep public media vital and thriving.